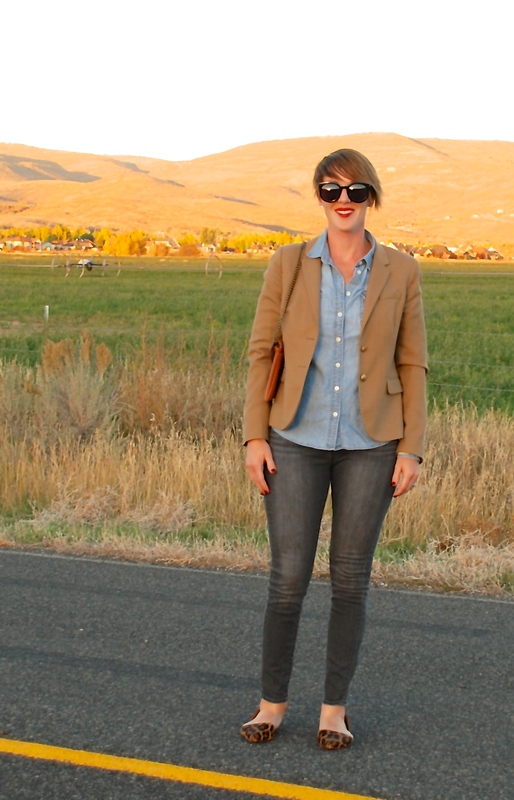 Casual camel is a brilliant fall option. I wore this outfit last week to run errands, volunteer at my son’s school, and do “the mom thing” generally. 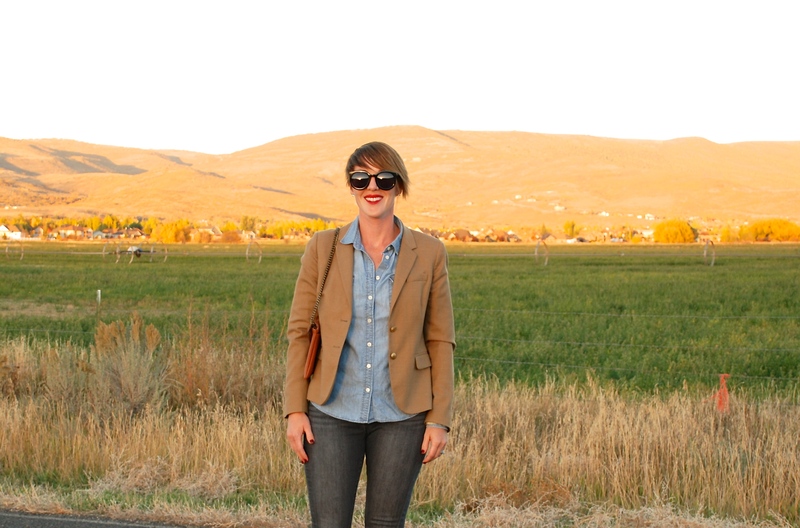 This blazer is really indispensable both for it’s shape and color, and it’s actually warm enough to pull on for an evening fall layer if your weather hasn’t dropped into the 30s or 40s yet. From date night, to casual daily look I plan on wearing it again and again this season. Let’s not forget Tuesday shoe-day! 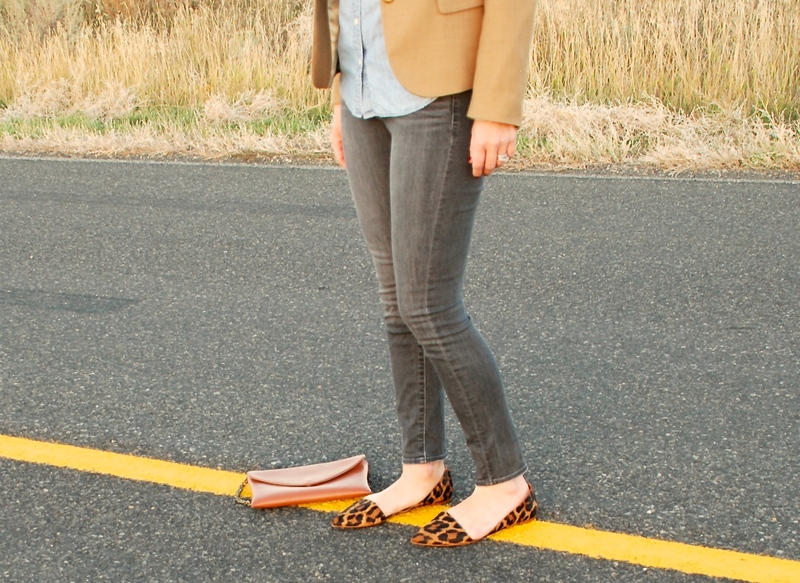 These leopard d’orsay flats have been so much fun! 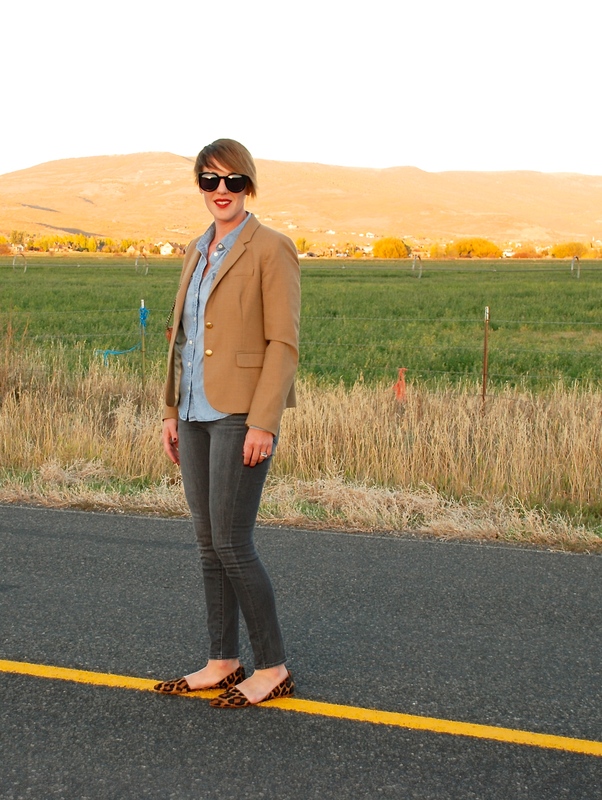 Leopard is truly a neutral ladies, and I linked several similar options below. I hope your week is wonderful! A delicious Pork Loin and Spicy Peaches is live in a day. See you tomorrow!